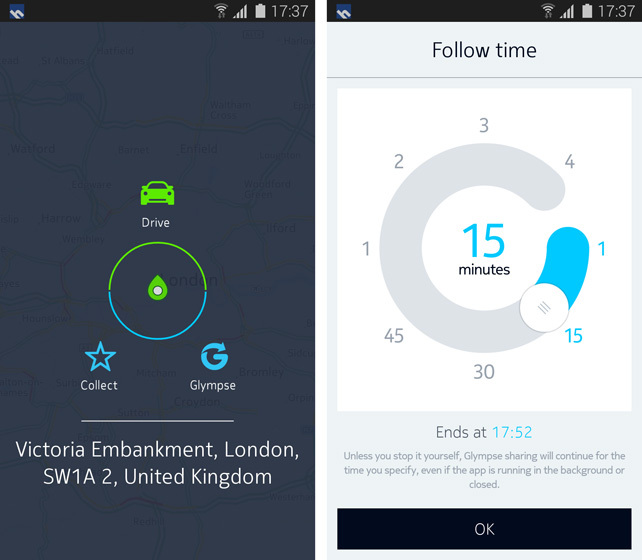 HERE, the navigation app from Nokia put your GPS to good use with offline location services. 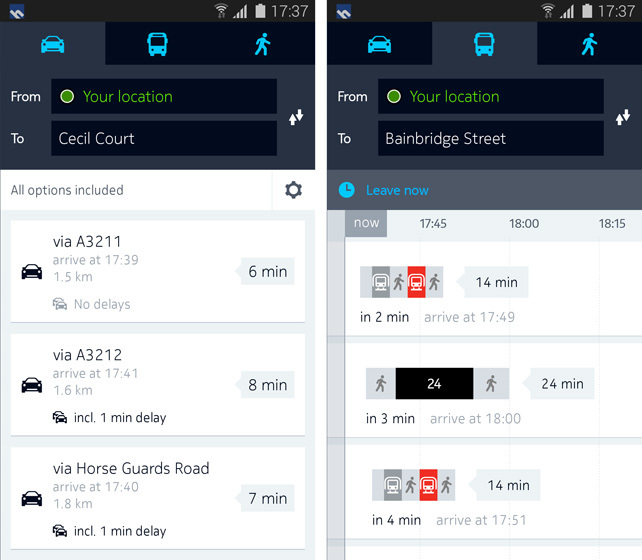 There is no waiting needed for loading maps since the app downloads the region wise or country wise map at the start and gives an on the go navigation experience. The Internet connectivity is not required as said earlier and the map is free of cost as well. The map caching for small areas which we find annoying in Google maps and other alternatives is not in this device which is quite good. Only disappointment is that this is exclusively available for Samsung Galaxy devices for now and wishes to see in other devices soon. The real use for this app comes where internet connectivity is scarce or limited, which will find more practical usage in real life. You will find this as the offline version of Google maps as there are options to zoom, pan, rotate maps and find shortest route from A to B and choose between the means of transportation you like to use. Walk, ride, or choose a bus ride, your wish. You can also tweak the route option to avoid any tolls as well. Here will show you the nearest restaurants, Cinema etc. There is added advantage of live traffic reports, Bus routes, and location sharing when you go online. They provide maps to almost all countries with more detailed location infos available in 100 countries and they try to add more features and countries with time. 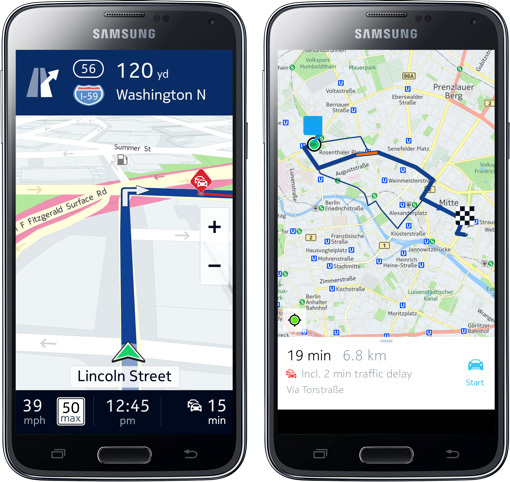 As said earlier the app exclusively is available in Samsung Galaxy devices, the map can be synced from galaxy smartphone to Gear S and Samsung Car Mode app and Glympse as well. The offline feature is a plus for this app There are also other apps available in the market offering the same but we are aware of the service that Nokia maps has offered us and its expected that they deliver the same with HERE as well.